We starting to feel the first cool breezes of fall up here in Philly! 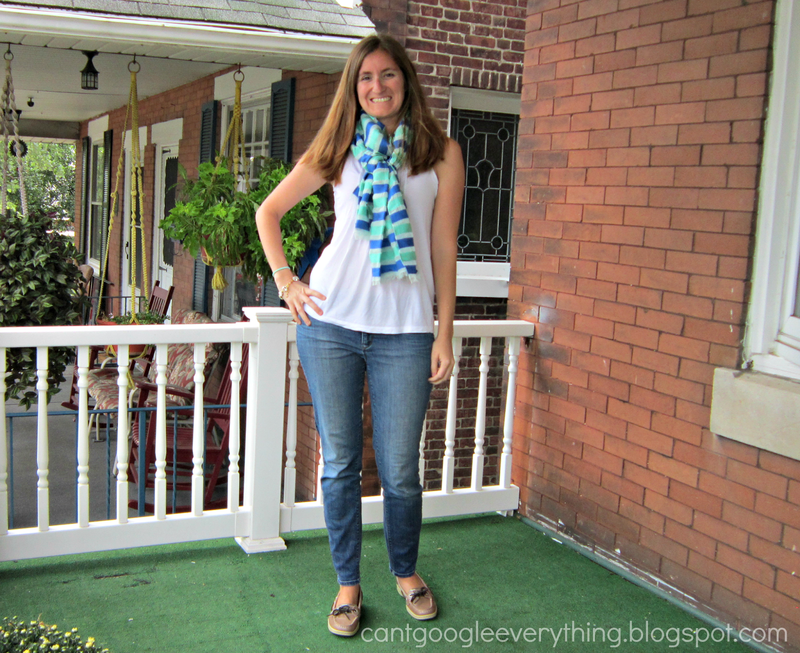 To celebrate I wore a scarf for my outfit post today along with a flowy summer sleeveless tee and my new Sperrys! It’s a nice mix of a little bit of summer and a little bit of fall- perfect for the transition time and weird temperature variations these early weeks of fall! I was brave and took my outfit photos on the front porch this time. No neighbors were home to see me, however as soon as I set the camera timer and started smiling, the school bus drove up to drop the middle schoolers off! Can’t wait to wear some boots, but I do love my new Sperry’s as well. They have a little bit of silver shine on the sides! Did you write about fashion this week? I’d love for you to link up your fashion post below for the Fall Style Link Up! This link up takes place every Thursday this fall through the end of November! It is all about your fall style, no matter where you live, so any kinds of fall fashion related post are welcome. There are no rules, but please be nice and follow your host and co-hosts in any way you can! I can’t wait to see what fall outfits everyone comes up with this week! 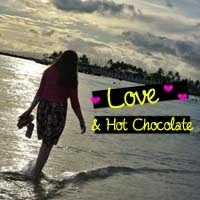 This week’s co-host is Amy who writes the blog Love and Hot Chocolate! Help spread the word and add the button to your post or blog when you link up! Thanks for hosting this fun link up. It inspired me to step outside of my comfort zone and do a new type of post!! Thanks Rachel. I love my Sperrys, I went with the ones that have the gold sequins on the side, because I love gold so much. You will love them! Love the scarf and your outfit is perfect as we transition from the warm to cooler temps! I love your photos outdoors; great light! We had new neighbors move in recently diagonal from us. They live next to where I sometimes like to take my photos and one day I went out there to take a Stitchfix review so I put on jeans, a tank top, and I just kept changing shirts. I didn't know they were do a lot of work on the house that day so they definitely saw me changing shirts and smiling at a camera in different poses. They have to think I'm crazy. looks like your fall is like mine-too warm for fall clothes. is this your first pair of sperrys? i want to know what you think. i have been meaning to buy some for years but never have.